The bodies of the seven US soldiers missing after the crash of destroyer USS Fitzgerald and a Philippine freighter were found today, according to the Seventh US Fleet deployed at Yokosuka’s Japanese base. The bodies “were located in flooded berths” after the collision of the previous day and were located as the rescue teams were accessing the spaces that were damaged, said the US Navy in a statement. The remains of the sailors are being transferred to Yokosuka Naval Hospital, located southwest of Tokyo, to proceed with their identification, after which the identity of the deceased will be announced, the text said. 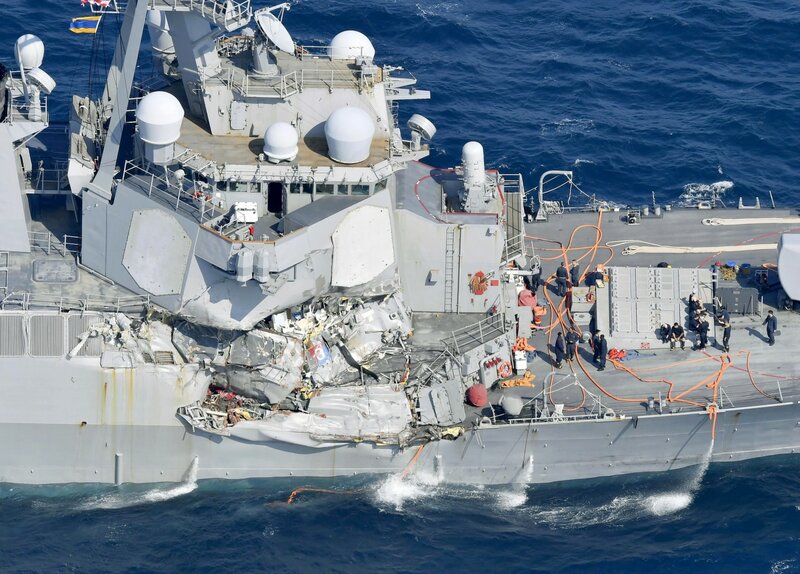 Destroyer USS Fitzgerald and Philippine freighter ACX Crystal collided at 0230 local time on Saturday (17:30 GMT) in Japanese waters leaving seven U.S. Marine dead and three wounded who had to be evacuated, including the commander of the destroyer, Bryce Benson. None of the 20 freighter’s crew, operated by Japanese shipping company Nippon Yusen KK, results wounded, reported the company. Both boats suffered considerable damage and had to be rescued by the Coast Guard of Japan. The collision opened a waterway in the destroyer above and below the waterline, flooding two berths – where the bodies were found – a space of machinery and radio room, according to the Navy. The ship, with a crew of about 330 sailors, belongs to the Arleigh Burke class of missile destroyers, which are among the largest and most powerful firepower built in the United States. The ship is deployed on the Yokosuka base, the main US naval base. In Japan, from where it offers support in peace and security missions in the Asia-Pacific region.